Wedding dresses with strapless sweetheart or flat neck has been very popular for a long time. Many brides-to-be have already set their heart on this style. But as fashion changes and varies, wedding dress with sleeves is no longer a stereotype for being conservative. 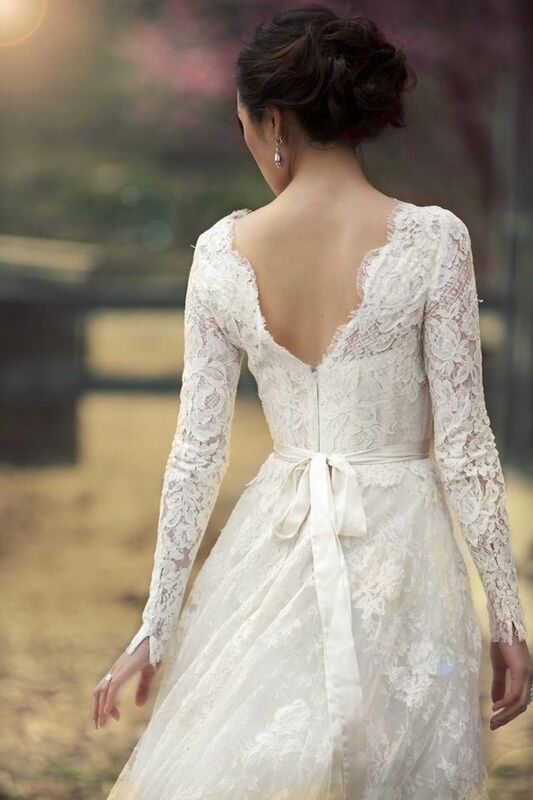 There is a growing trend for sleeved wedding dresses now. Wedding dresses with sleeves can have many styles and decorations which you can never imagine. They can be in cap sleeves, short sleeves and also long sleeves. Besides, the sleeves can be defined with delicate hand made embroidery, which can add a very chic touch to your wedding gowns. Due to the complicated workmanship, they are usually very expensive. 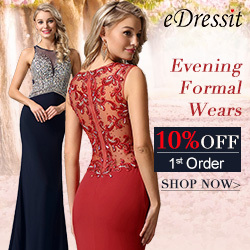 Wedding dress with sleeves can also be accented with elaborate lace with sparkling beaded applique, made in floral shape, adding a very feminine taste to your bridal gown. Wedding gowns with sleeves can also cover up flaws, and make you look perfect on your big day. 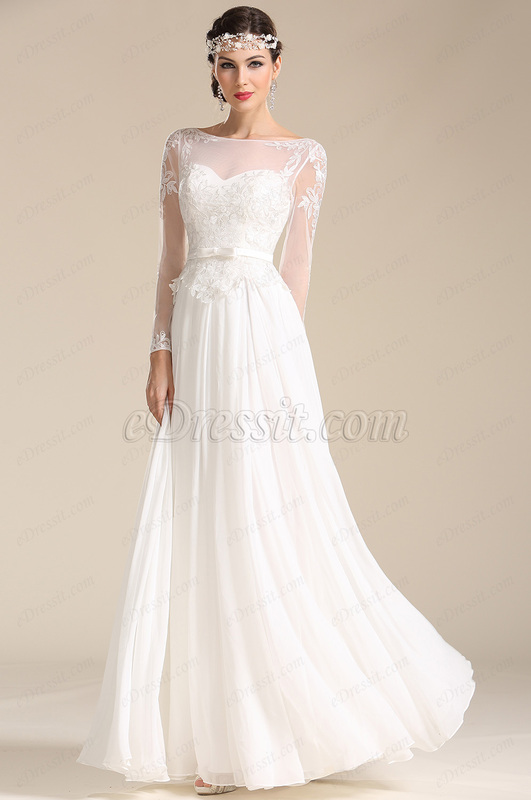 Modest sleeved bridal gown can make you look beautiful and elegant at the same time. Time to take a new look at wedding gowns. Trying a new style wedding gown on the most important day of your life, don’t be trapped by dogma, you are the decider to make your wedding day looks what you expect it to be.